I’ve always believed in having friends who are both smarter than me and have different interests than I do. Well, it couldn’t get more different than my friend Dan, who is devoted to nature. Me, not so much. He is a strong supporter of conservation causes, and I am sure he was a little befuddled when he had to explain to me the saying, “Asphalt is the last crop.” They could pave paradise and put up a parking lot, and I probably wouldn’t notice. Dan and the organization he co-founded, Magnificent Missouri, are responsible for the billboards you see along Highways 70 and 170 with the words, ‘Enemy of the State’ in big block letters. If you slow down, you will notice the next line of the billboard, which reads: stop-honeysuckle.org. If you’re anything like me, honeysuckle calls to mind the sweet-smelling vine that creeps over your fence in the summer. This is not the honeysuckle that is the enemy. Bush honeysuckle, imported from Asia many years ago, is the enemy. It was originally brought here to provide a dense hedge between houses. But like the Asian carp flailing themselves at rowing crews in Creve Coeur Lake, bush honeysuckle is killing our native Missouri plants! Why should we care? Well, you might try driving down Lindbergh Boulevard, where Dan took me to view nature just the way I like to see it: from the inside of a car with the air conditioning on. Only I wouldn’t exactly call it nature. All you can see is bush honeysuckle. You won’t see trees or forest, or flowers, or yards—just green, thick bush. In simple terms, the bloom is off the rose, and off everything, because there are no blooms! And now that I have been shown the light—or the green, so to speak—I can’t look away. It is ugly, ugly, ugly. And all on the same road as Plaza Frontenac, which is where you go to see pretty, pretty, pretty. So, how have things gotten to this point? Nature. The birds eat the berries of the bush honeysuckle, which have about the same nutritional value as jelly beans, so the birds aren’t even getting a decent meal. But what goes in must come out, so the seeds inside the berries are excreted, and new bush honeysuckle plants can start. In other words, the spread of bush honeysuckle can be explained by an expression we’ve all heard: ‘poop’ happens. Although Dan told me what I could do to help, nature talk tends to get all muddled in my mind. But I can tell you this: everyone should be on board when it comes to eradicating this noxious plant. The last thing anyone wants is me explaining how to do that, so instead, log onto stop-honeysuckle.org, and be a better steward of the earth than I’ve been. Be careful, though. You will never be able to drive down Lindbergh Boulevard again without the desire to pull over and start whacking away at the bush honeysuckle. In fact, if you see a redheaded woman out there, don’t get alarmed. It’s just me. Dan has finally made me care about nature. >> Town&Style is on Instagram! We are now posting pictures with captions. Please follow us. I am always looking for feedback (mostly good) or suggestions for topics you would like covered. 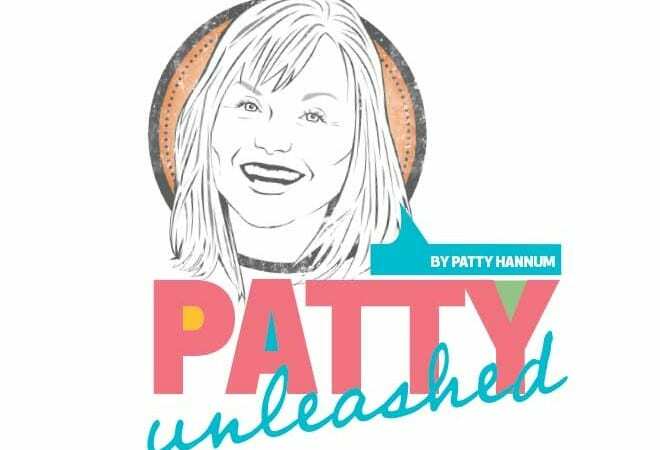 Email me at phannum@townandstyle.com . Enjoy a private fashion show and shopping experience with designer clothing and accessories at a fraction of the cost. Featured labels include Chanel, Dior, Louis Vuitton and Gucci. A portion of proceeds benefits the Thompson Center for Autism and Neurodevelopmental Disorders at the University of Missouri. Gather a team and test your knowledge at the Arts As Healing trivia night. In addition to showing off your smarts, you can bid on our silent auction items and test your luck in various raffles. Bring food and drinks to share with your table. Beer, soda and water will be provided (Spirits are not allowed in the venue). Doors open at 6:30pm. Trivia starts at 7:00pm. Join the students of Lift for Life Academy at its annual Celebrating Success fashion show. Enjoy a cocktail hour, musical entertainment, silent auction and more. The event benefits the academy’s educational programs. In addition to supporting the work of the Signature Foundation, proceeds from the tournament will benefit three other nonprofit efforts: Annie’s Hope, Midtown Community Services and VetLinks. Sponsorships are available by contacting Beth at bschlueter@signaturefoundation.org. 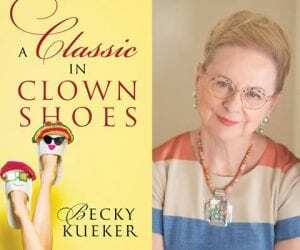 After publishing a memoir on life after retirement, Hiding in My Pajamas, and launching a national speaking career at 75, Becky Kueker thought she had it all. Then a complicated surgery requiring six months in a wheelchair turned her life in a new direction. After fighting fear, depression and the realization that she would once again have to start over, Becky shares her journey and highlights many of the inspiring people she met along the way. Every chapter of her new book, A Classic in Clown Shoes, is filled with poignant stories from women and men who have proven that aging does not have to define you and that laughter changes everything. Books will be available for purchase at the event from the author. 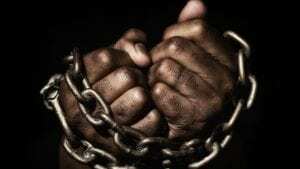 Gitana Productions presents an original play inspired by the stories of German immigrants who led abolition efforts in Missouri. Performances are June 20, 22 and 23. After each, there will be a question-and-answer session with the actors, historians and playwright Cecilia Nadal.